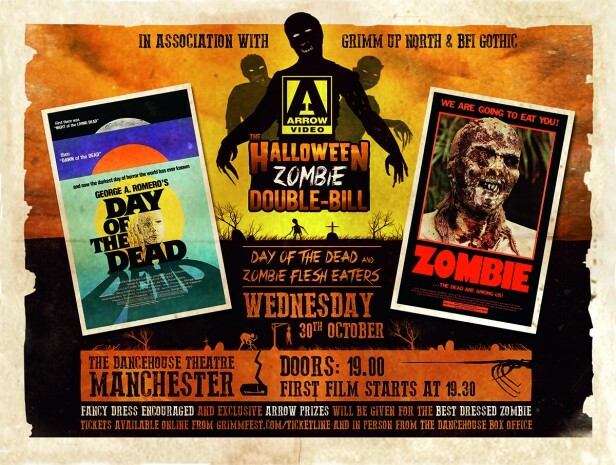 A shambling double bill next Wednesday in the form of stone cold classics DAY OF THE DEAD and ZOMBIE aka ZOMBIE FLESH EATERS – the latter of which cost me £16.99 on VHS (a VHS!) from Andy’s Records in Lancaster when it was unbanned following the liberation of the BBFC. Grab tickets here – all details below! 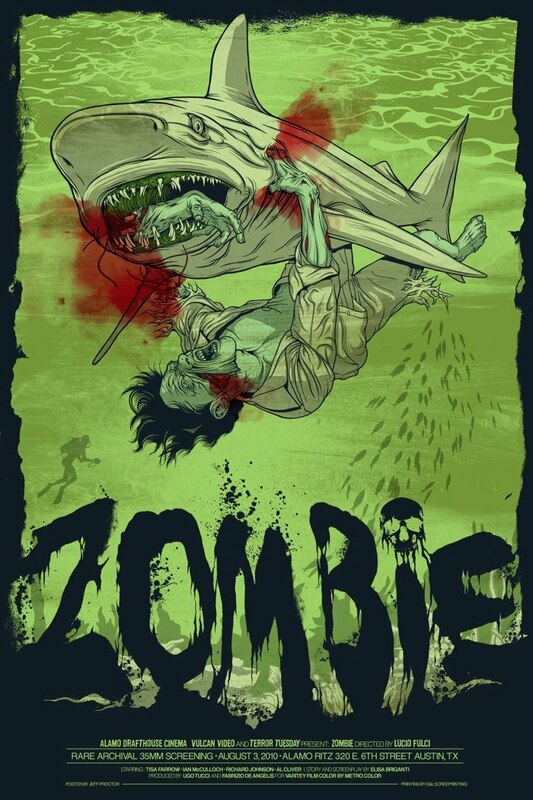 The Zombie is a fairly recent addition to the pantheon of literary and cinematic horrors. 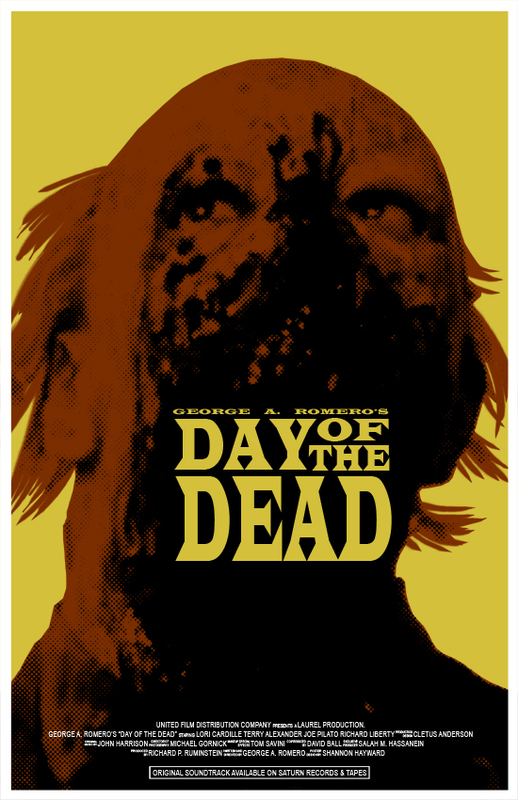 The word first entered the English language in 1929, and while there were early zombie films, such as the Halperins’ seminal WHITE ZOMBIE and Val Lewton and Jacques Tourneur’s I WALKED WITH A ZOMBIE, the walking dead only really began shambling toward total dominance of the horror genre with the release of George Romero’s definitive NIGHT OF THE LIVING DEAD in 1968. Yet however contemporary they might seem in comparison with longer-established monsters, Zombies are very much part of a Gothic tradition – they reflect that same preoccupation with bodily decay and the parameters of what make us human, and whether they be raised from the grave by more traditional voodoo means, or by science gone bad, they still owe their existence to dark arts of one kind or another. 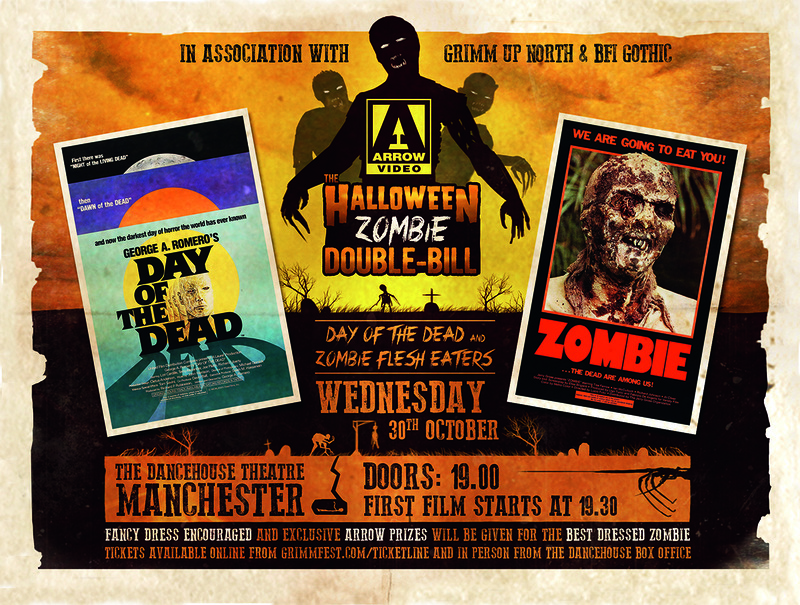 This programme offers an opportunity to compare and contrast two much-loved classics, DAY OF THE DEAD, the apocalyptic grand finale of George Romero’s original, seminal Dead Trilogy, which features the more familiar, modern, science-spawned zombies, and Lucio Fulci’s ZOMBIE FLESHEATERS, with its more traditional, voodoo-spawned zombies.